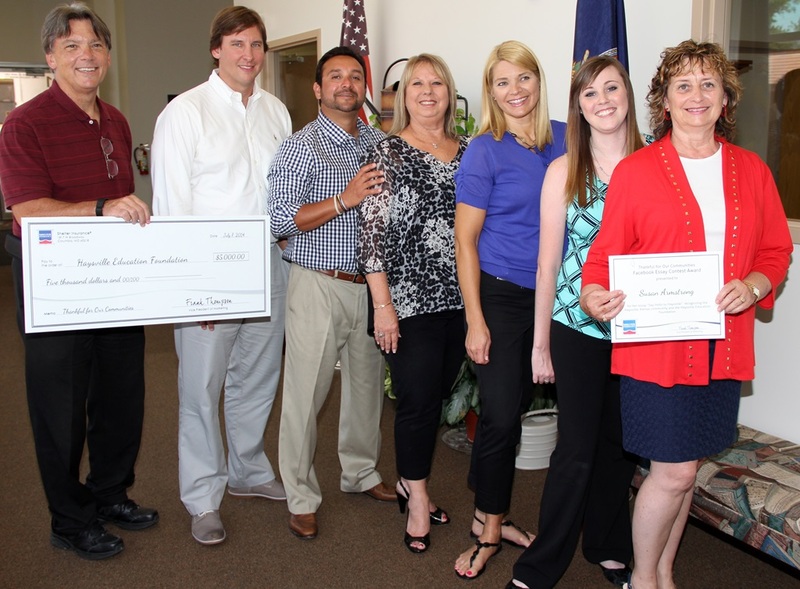 (Photo bottom right) Representatives from Shelter Insurance Companies were in Haysville on July 7 to present the Haysville Education Foundation with a $5,000 grant. Shelter Insurance held a Facebook essay contest in April and May with entrants submitting an essay about what makes their communities special. Haysville resident Susan Armstrong’s essay “Say Hello to Haysville” was about its small-town charm, fun activities, friendliness and sense of caring and community. 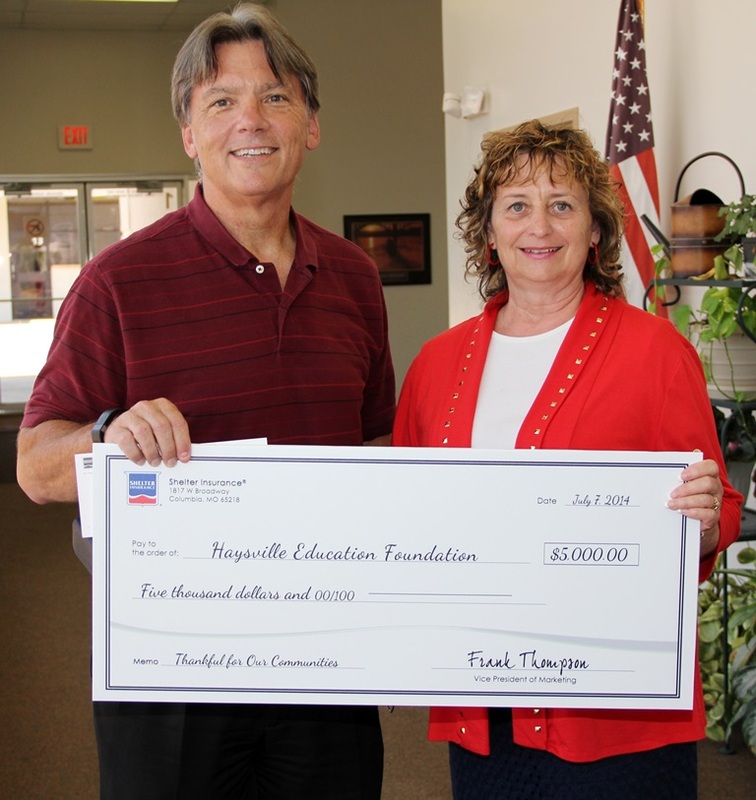 Armstrong submission was one of the top four winners and she chose the Haysville Education Foundation to be the recipient of the $5,000 grant. (Photo) Participating in the presentation of the check ceremony were: (from left) Dr. John Burke, Haysville Education Foundation President and Haysville USD 261 Superintendent; Brandon Procell, Shelter Insurance Regional Manager; Jaime Bachura, Shelter Insurance District Sales Manager; Dana Haislett, Haysville Shelter Insurance Agent; Julie McDermott, Shelter Insurance Content Specialist; Kelly Wray, Shelter Insurance Content Specialist; and Susan Armstrong, owner of Armstrong Chamberlin, a full-service marketing, advertising and public relations agency located in Haysville. Below is a link for the video from the Shelter Insurance check presentation. The video was taken by Sean Conley from the City of Haysville.